Nokia's Lumia lineup finds little love in the U.S.
Microsoft may, repeat may, be whipping up a smartwatch, but according to the company's Windows Phone honcho, a self-made Surface smartphone isn't in the cards quite yet. Speaking at the AllThingsD Dive into Mobile conference, vice president Terry Myerson said flat-out that he doesn't see a reason for Microsoft to muck up the Windows Phone waters, The Verge reports. "It would have to be something where Nokia or HTC was not providing the consumer experience we think is possible with our platform," he said when asked about a possible Surface smartphone. He went on to say he's "incredibly proud of the work [Nokia's] done." "Seeing Nokia and HTC successful with their Windows Phones... and, you know, Huawei... that's important right now," Myerson continued. Long-time platform dollars before short-term Surface cents seems to be the mantra at Microsoft, at least for today. Does the world need a Surface Phone? Those VaporMg curves would look sweet on a Surface Phone! Microsoft's reluctance to release a Surface Phone makes sense from an ecosystem perspective. 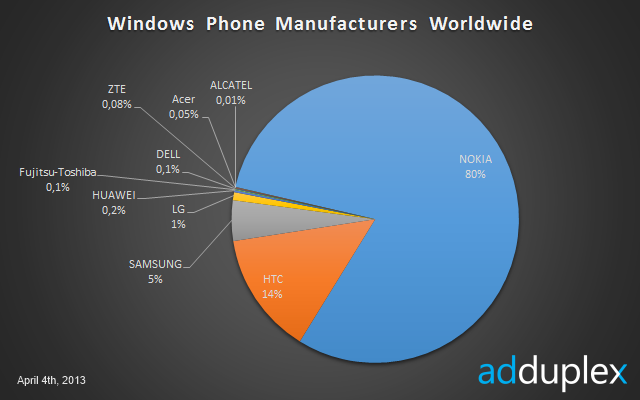 The company has struggled to convince any manufacturers other than HTC and Nokia to jump onboard the Windows Phone bandwagon, and those companies wouldn't take too kindly to direct competition from their software supplier. Witness the growing pains of the Surface-dominated Windows RT tablet segment. That said, while it's true that Nokia and HTC's Windows Phone experiences are big, bold, and beautiful, they're simply not resonating with consumers the way they ought to. A VaporMg-clad Surface handset would capture the world's eye in ways that Nokia's stunning Lumia line, alas, has not. That goes twofold if the Surface Phone includes some sort of special sauce software, such as deeper Xbox integration. Nokia itself recognizes the danger. In fact, the company laid it out in black-and-white in a March SEC filing. Microsoft may make strategic decisions or changes that may be detrimental to us. For example, in addition to the Surface tablet, Microsoft may broaden its strategy to sell other mobile devices under its own brand, including smartphones. This could lead Microsoft to focus more on their own devices and less on mobile devices of other manufacturers that operate on the Windows Phone platform, including Nokia. Should Microsoft be so quick to brush off the idea of a Surface Phone? As we said in our vision for the future of the Surface brand, Microsoft can't stop at tablets if it truly wants to take the battle straight to Google and Apple. Smartphones move more units than any other computing device by far, and right now, very few of them ship with Microsoft's mobile OS inside. Rumors of Microsoft-made Surface smartphones have been swirling for months, though they've often been cited as a "Plan B" in case other manufacturers failed to step up to the plate. Nokia and HTC have indeed done wonderful things with their Windows Phones, but it still hasn't been enough. 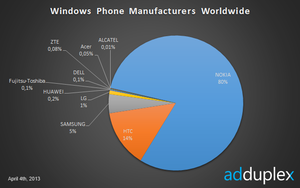 One recent ComScore report indicates that Windows Phone's already paltry market share actually shrank since Windows Phone 8 launched in October, while an April AdDuplex report indicates that Nokia commands a whopping 80 percent of the Windows Phone market. That ain't a healthy ecosystem. In fact, you could say it's downright unhealthy. What better time to launch a Surface Phone? Windows Phone is already a dud in the grasp of a sole manufacturer. If Microsoft truly wants to evolve into a device and services company built to go head on with the likes of Apple, it should release a Windows Phone beast of its own and let the OEM chips fall where they may.